In the fourth book of the Jocelyn O’Roarke series, where the eponymous stage actress and sometimes-detective goes, murder follows—even all the way across the country . . .
New York City has dried up for Jocelyn “Josh” O’Roarke. Her career on the stage has stalled. Her relationship with NYPD lieutenant Phillip Gerrard is through. She needs a way out, and a supporting role in a Hollywood TV movie seems like just the thing. But once on the West Coast, she discovers that her role is to support washed-up child star Ginger Jellicoe’s comeback attempt. When Buddy Banks, the production’s photography director and Ginger’s surrogate father, is murdered in a darkroom, Josh is pressed once again to put her sleuthing skills to use. With the help of dashing LAPD detective Dwayne Hamill, Josh races to clear Ginger’s name while keeping the former child star from becoming the killer’s next victim. 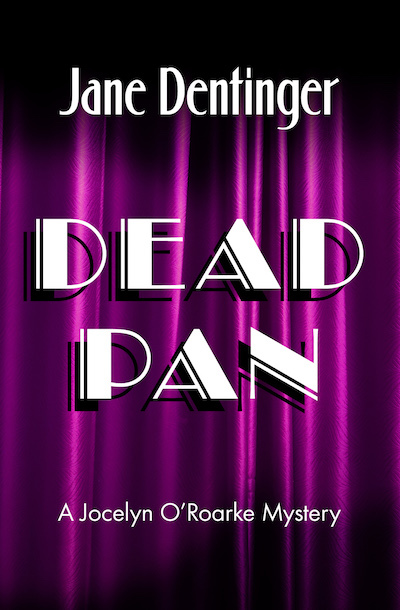 Dead Pan is the fourth book in the Jocelyn O’Roarke mystery series, which begins with Murder on Cue and First Hit of the Season.